The parade will be held on Thursday March 17 and will run from Kalakaua Ave. in front of Ft DeRussey through Waikiki to the bandstand at Kapiolani Park. The parade has around 800 participants including community organizations, marching bands, groups from the military, and keiki from schools. The parade lasts about 90 minutes. Check to see how close your Oahu hotel is to the parade, and you may be able to catch the Waikiki Shuttle or walk to the event. Interesting fact: Honolulu’s Saint Patrick’s Day Parade is the last parade on the planet each year as any events west of Hawaii are beyond the International Dateline. One way to enjoy the parade is by Waikiki Trolley! Here, the Irish Rose Saloon Trolley makes its way through the festivities. Immediately following the parade, the Friends of St. Patrick’s will head to Kelley O’Neil’s on Lewers St. to celebrate Erin’s favorite saint with Live Irish Music at 1pm featuring Celtic Waves followed with a mix of recorded and live music. Finish the night with Rock and Roll performed by the Taja. St Patrick’s Day Garb is appropriate for the day will be available, as well as a menu of Corned Beef and Cabbage, Fish and Chips, Beef Stew and Cold Corned Beef Sandwiches. Naturally, you’ll have your choice of “beverages,” including Guinness, Harp, Smithwick’s, and Killian’s and a Great selection of finer Irish whiskeys including Jameson’s, Bushmills, Tullamore Dew, Teeling and Two Gingers. Anna O’Brien’s will host an outside party featuring Samuel Adams and Pabst Blue Ribbon starting in the afternoon, with a Boston Baked Bean eating contest, The Prettiest Red Head Contest and the Best Leprechaun Contest, all outside in the parking area behind Anna’s. Inside will feature Killian’s, Smithwick’s, Guinness and Harp, and Corned Beef and Cabbage plates and plenty of recorded Irish favorite, downstairs at the PUB. Upstairs at the CLUB, enjoy a live Irish session from 5-8pm followed by recorded live Irish music Concerts featuring The Tossers, Flogging Molly, the Pogues and Dropkick Murphys upstairs from 9pm-close. The Party will continue downstairs at the PUB and upstairs at the CLUB until 1am. Murphy's Bar and Grill hosts a block party on St. Patrick's Day every year that benefits local charities. This is considered Hawaii’s biggest St. Patrick’s Day bash and the last place on the planet (this side of the dateline) to celebrate St Patrick’s Day. 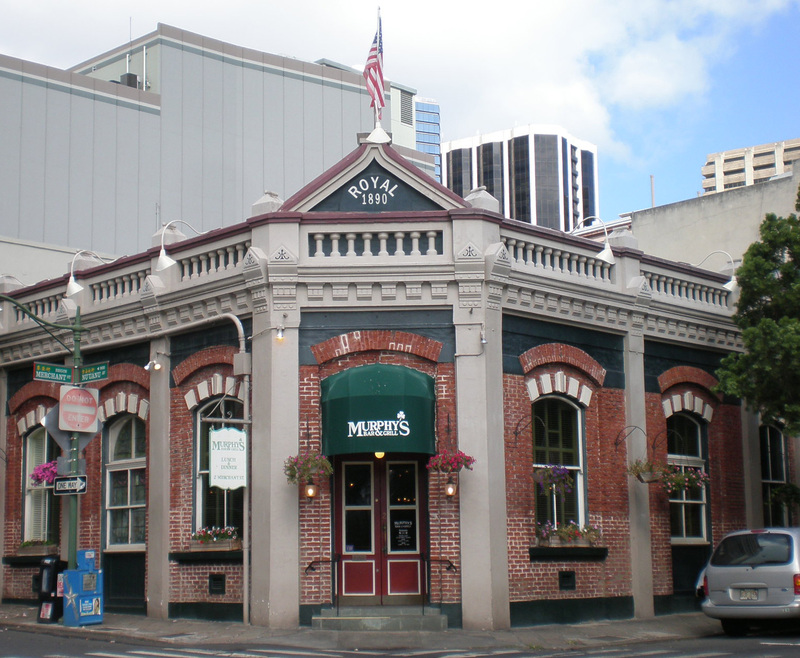 Murphy’s Bar and Grill will join with O’Toole’s to host the block party in the “Irish Corner,” which is open air parking lot at the corners of Nuuanu and Marin. Food and service will start at 11am in the parking lot, but the party gets started around 6:00pm as the streets are closed on Nuuanu, Merchant and Marin Lane. Live music at O’Toole’s will last all day. The menu at the block party includes corned beef and cabbage, steamed clams, fresh salmon, fresh oysters, and Marion Murphy’s legendary Irish Whiskey Cake and Bread Pudding with Irish Whiskey Sauce. The first 100 women who come in to Murphy’s for lunch on March 17 will receive complimentary flower lei (the restaurant opens for lunch at 11 a.m.). The Murphy’s St. Patrick’s Day Block Party will benefit Hawaii non-profit organizations. Murphy estimates his Saint Patrick’s Day Block Parties have raised over $100,000 for local charities over the years. New this year, Murphy created a Kid Zone with crafts, juice, t-shirts, and other family friendly offerings. Live music will be provided by Honolulu’s Irish pub rock band Doolin Rakes, and Pirahna Brothers. The block party kicks off at 11:30 and goes till 10 p.m. After sunset, Merchant and Nuuanu Streets are blocked off. I’m only Irish one day out of the year, and that day is St. Patrick’s Day! 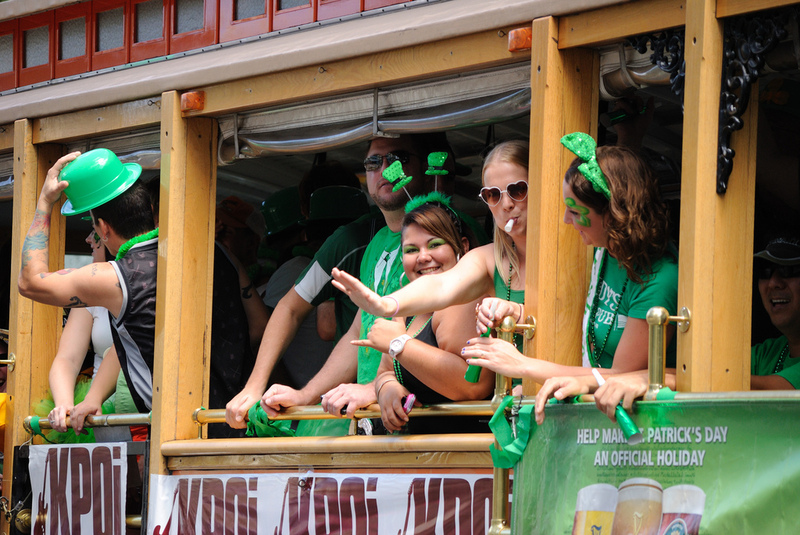 So, grab your green, kiss someone who’s Irish, and enjoy St. Patrick’s Day on Oahu!